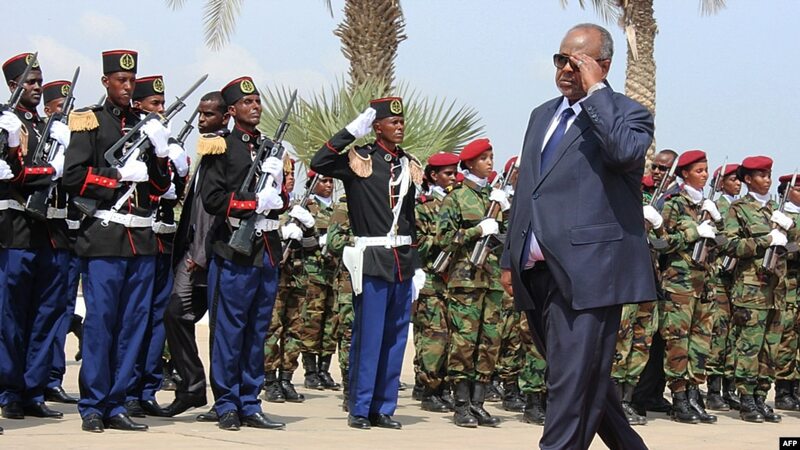 Djibouti’s President Ismael Guelleh inspects a guard of honour during his inauguration on May 8, 2016 in Djibouti after his fourth re-election. Djibouti’s president says African leaders believe President-elect Donald Trump will pay little attention to Africa, but is hopeful that Djibouti can continue a strong bilateral relationship with the U.S.
Ending his 2015 visit to Africa, U.S. President Barack Obama warned the continent would not advance if its leaders refuse to step down when their terms end. “Nobody should be president for life,” Obama said. However, last April, President Guelleh won third term in a disputed re-election boycotted by opposition parties. In order for Guelleh to win that election, parliament had to change the country’s constitution because presidents were limited to two terms. Referring to Obama’s warning and the recent U.S. election results, Guelleh said, “Those who used to say we are giving lessons to Africa, you see what they are facing. It is none of their business to determine any incoming or outgoing African president,” he said. The tiny East African country hosts the United States’ only military base on the African continent. In 2014, the U.S. and Djibouti signed a 10-year lease on the military base, Camp Lemonnier. At the time, the based housed about 4,000 U.S. soldiers and other military personnel. The United States regards it as a major staging area for attacks against terrorists in Yemen and Somalia, where Djiboutian solders are part of the African Union force that has had some success against al-Shabab militants. 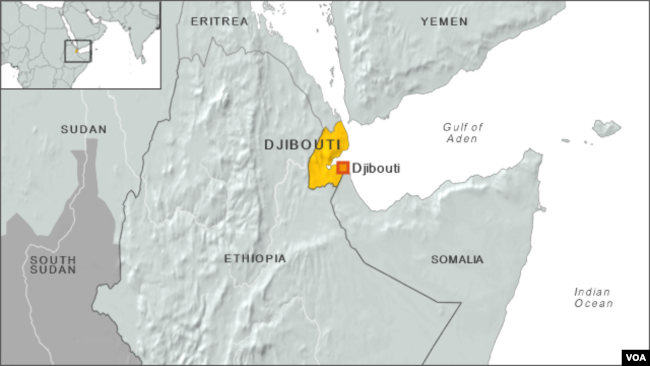 Djibouti is also home to a military base from former colonial power France. Japan has also leased a military base, while there is a growing Chinese influence in Djibouti. On Wednesday, Djibouti and its neighbor Ethiopia officially launched the first fully electrified cross-border railway line in Africa, a project 70 percent financed by China’s Exim Bank and built by China Railway Group and China Civil Engineering Construction. Guelleh says his country is capable of managing those different and sometimes rival foreign interests. Military bases not just in Africa, but all over the world, Stuart. Why, oh why. can this madness not be stopped?! !